The first USS North Carolina was a sailing frigate commissioned for duty in 1824. The ship usually carried 74 cannons but was designed to handle as many as 102 guns. USS North Carolina was considered the most powerful naval vessel afloat at the time of her commissioning. 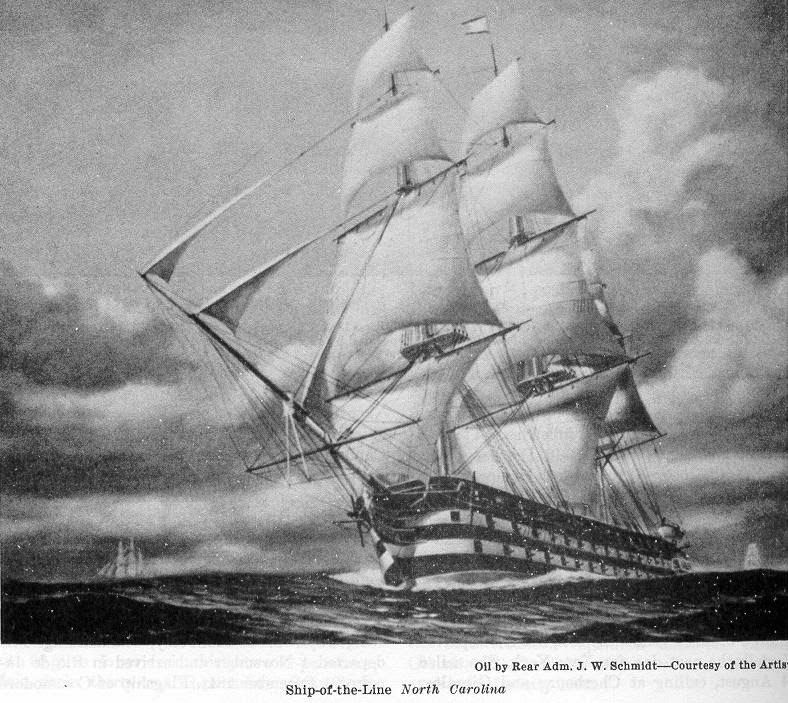 The ship spent most of the middle 1820s in the Mediterranean, showing the U.S. colors to demonstrate the strength of the country and to open trade with the region. She also spent time in the Pacific in the late 1830s defending American trade routes. By 1839, she was taken off the line and converted to more mundane duties as a receiving ship to house young naval recruits.